We have created a custom stylish date picker control that you can easily implement either at design time or at run time. Simply locate BunifuDatePicker in your toolbox and drag it it to your project form. That's it! 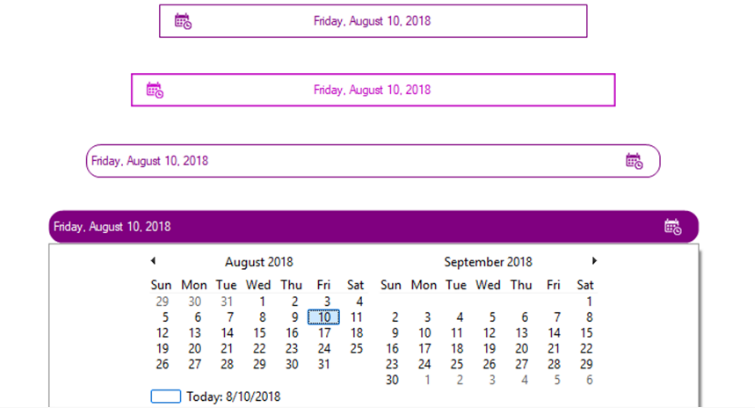 You can now customize your date picker. We will elaborate custom properties later in this article. IconLocation – Gets or Sets the location of the icon to Right or Left. We hope you will enjoy using BunifuDatePicker control and that it will help you create better user experience for your users.